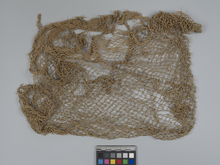 Item number 2990/932 from the MOA: University of British Columbia. 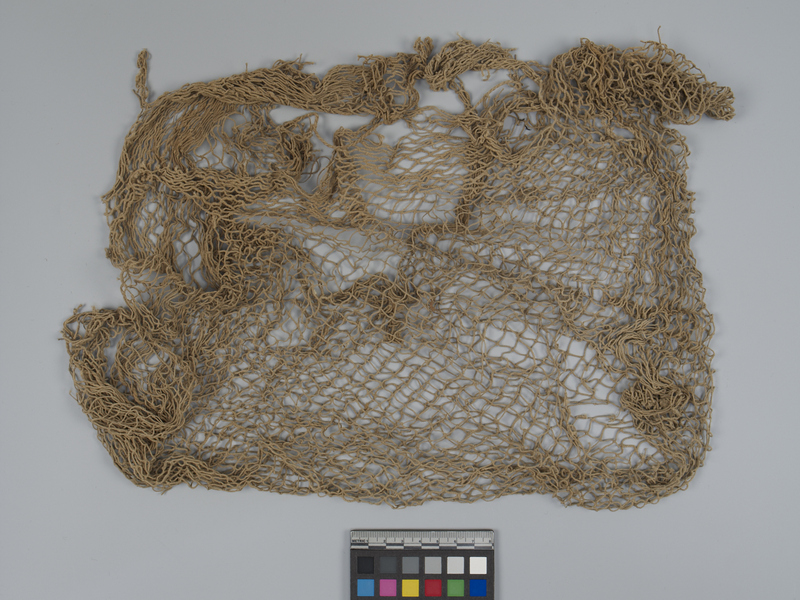 Square fish net made of twisted cotton threads forming horizontal and vertical intersections. Two strings on top edges to grab the net and "S" torsion thread technique.